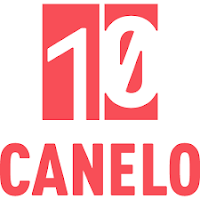 UK-based epublisher Canelo is looking for stories with "mass appeal" in several genres including romance. The founding partners are Iain Millar, Michael Bhaskar and Nick Barreto. They claim a royalty rate of 50-60 percent which I assume to mean percent of cover price. (Submissions via agent). Comments on articles about Canelo seem to be about 1/2 skepticism about that royalty rate being sustainable, and about half other epublishers saying they have been offering rates that good for years and it is totally no big deal. (See here and here). Canelo talk big about being the future of publishing, the next generation of digital publishing, blah blah blah. It is a little hard to see what they are doing that is so distinctive so far other than being British men with nice hair.